Tablo of Epik High made a surprise announcement of an upcoming album via a Twitter post. On Tuesday evening, Tablo congratulated singer Lee So-ra for her success on the music charts with single “Song Request,” featuring Suga of BTS. “Song Request,” co-written and penned by the 38-year-old rapper-songwriter, topped iTunes charts in 44 countries, including Hong Kong, Mexico, Brazil and Sweden, upon release at 6 p.m.
“Thanks everyone for all the love for the song that I put a lot of hours and heart into. Next time, I’ll be greeting you with a new Epik High album,” he said, revealing a previously undisclosed plan for the upcoming project. The new album will be the seasoned hip-hop trio’s first work since its ninth studio album, “We’ve Done Something Wonderful, ” was released in October 2017. 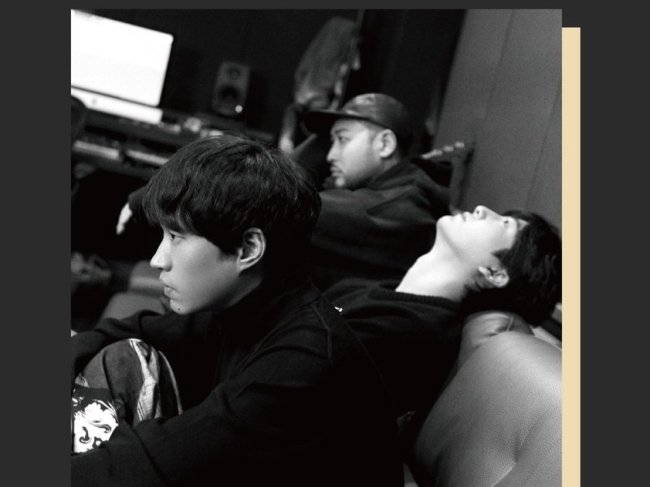 Tablo debuted with Epik High in 2003 with the album “Map of the Human Soul” under Woollim Entertainment. After parting ways with Woollim, Epik High found a new home at YG Entertainment for six years from 2012 to 2018. In 2015, Tablo and YG chief Yang Hyun-suk co-founded an independent music label, HIGHGRND, which manages indie artists Hyukoh and The Black Skirts. Tablo stepped down as CEO of the label in July 2017.